In this session we have Mr.R.Vasantharaj, Research Scientist from Centre for Aerospace Research representing Team Dhaksha for the interview. Can you tell us about the goal of team Dhaksha? Our main objective is to create a self reliant AV system design. And to develop an indigenous product from India. Can you tell us about your team and how it all began and some interesting facts? This laboratory was started 12 years back by Dr.Senthil Kumar from the avionics department along with his fellow students. The team was named DHAKSHA by Dr.A.P.J.Abdul Kalam. There were only 5 in the team at that time. Students who finish their B.Tech or M.Tech or PhD serve as research scientists but now we have a good number of people in our team with vast knowledge. Some words about your latest project. There are two ambitious projects which we are currently working on. One is the Drone Taxi, it’s an unmanned aerial system which can carry a human and it’s going to be used as an air ambulance as the initial step and maybe a transport system in the future. The other one is swarm UAV, which is a group of UAV’s working for a single objective. Who are all your present Clients? The team was actually started in 2006 for indigenous UAV development. But our present clients are the Tamil Nadu Govt., DRDO, Tamil Nadu Police, National Disaster Management Authority and so on. What are the achievements of your team? In the International UAV challenge Medical express – 2018, we won the 2nd place overall and won the 1st place for flight. The UAV Challenge Medical Express – is an unmanned aircraft competition that demonstrates the use of robotic aircraft for medical sample retrieval and medical delivery, and open to teams from around the world. This competition focuses on the autonomy of unmanned aircraft. 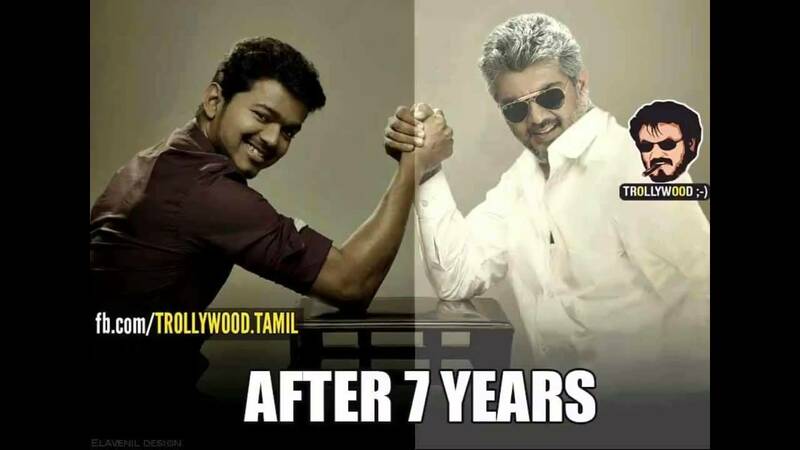 What was the role and contribution of Mr.Ajith Kumar in this project? Mr.Ajith has been associated with the team recently. He works in the helicopter division besides he is really good in mechanics. Since he’s a helicopter pilot, he helped us in testing the drones that we designed here. And we utilized his knowledge to develop new advancements in the drones we make. He is an also an optimization engineer and helped in the optimization of the parts used. Some moments with Mr.Ajith Kumar. He is such a dedicated person. When he comes to work at around 9.30PM and starts working, he never stops in between for break or rest unless the work is completed which may go up to 3AM. What happens to UAV in case of natural effects like rain or wind? The UAVs which are normally used for medical purposes are Quadcopters and are fully autonomous. In case of heavy rain or wind if any one of the blade or rotor gets damaged, the UAV automatically changes the dynamics of quadcopter to tricopter( 3 blades) and lands safely. It uses Image Processing for not harming people or other objects while cruising at a low range or while landing. Other achievements and Contributions of Team Dhaksha. 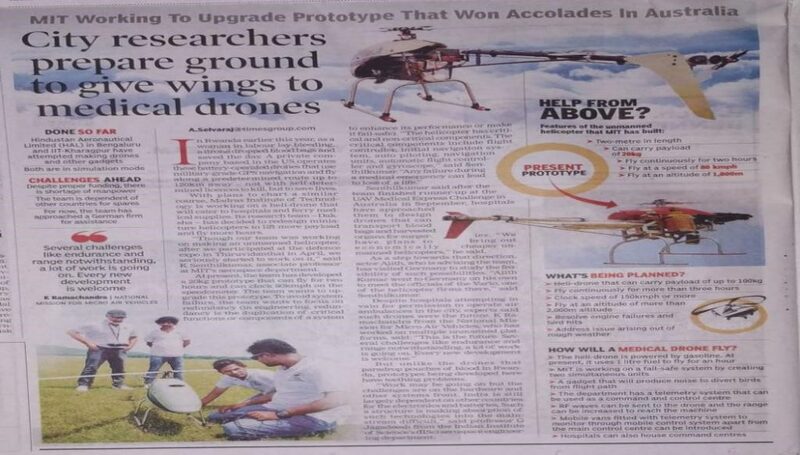 Has made the world record for long endurance autonomous hovering flight of the indigenously developed Multirotor UAV on 11 July 2018, in the sports complex of college of engineering, Guindy, Anna University. The UAV hovered for 6hrs 7mins beating the previous record of 4hrs and 40 mins. Interviewed by Anirudh M R, Second year, Department of Automobile Engineering and Vishwa Krishnakumar, Second year, Department of Rubber and Plastics Technology. This entry was posted in General, In Conversation. Bookmark the permalink.